At Cosmetic Surgery Specialists in Langhorne, Bucks County, PA, Dr. Alan Brackup has resisted the temptation to adopt a new product until the safety profile is well established, which is why he feels confident using the Juvéderm family of injectable fillers on his valued patients. One of the most popular injectable dermal fillers, Juvéderm XC treats moderate to severe lines and wrinkles on the face. Juvéderm XC is proven to be safe, effective, and provides results that can last up to one year. Juvéderm is made with hyaluronic acid, which stimulates the natural production of collagen and elastin in the skin for long-term benefits. At your consultation, double board-certified cosmetic surgeon and ophthalmologist Dr. Brackup will discuss the pros and cons of the multiple dermal filler products currently available, and help you create a unique treatment plan for your needs and cosmetic goals. "My search was over after being referred to Dr. Brackup!!!. My son's wedding was coming up in August, 2016. My eyes were horrible .When I smiled you saw know eye's. I met one surgeon that was scared to remove the lower bags. How would that look? Didn't make sense. With Time running out by chance I when to a new hairdresser, that had her eyes done and look beautiful. Even though Dr. had a busy schedule,he made it a point to fit me in for June 28th. I was assured my eye's would look beautiful by August 20th. Dr. Brackup was right. I had Upper and lower procedures done. Dr. sculpted my eyes to compliment my high cheek bones. They are beautiful. At 60 years old I look twenty years younger!! Dr. Brackup and his entire staff were kind and honestly the best experience I ever had. He is gifted with hands of gold. He only works from the neck up and is a oculoplastic surgeon. My confident's is through the roof. I walk with my head high for the first time in a very long time. Thank you, Dr. Brackup for setting this butterfly free!! Before pictures click on Rosemarie P. Thanks"
"Dr. Brackup and his staff are true professionals." "My puffy under eye bags that never quite disappeared had bothered me for years. After consulting with Dr. Brackup, I decided on a lower lid blepharoplasty. I hoped that after the procedure, people would stop asking me if I was tired. The results have been amazing! The changes were so subtle but now, when I look in the mirror, the puffiness is completely gone. Dr. Brackup and his staff are wonderful, caring professionals and I highly recommend their work." "I highly recommend their work! - The persistent puffiness under my eyes had bothered me for a while. This past year, turning 50, a stressful job and people's constant inquiries of "are you tired?" finally pushed me into seeing if I could do something about it. After consulting with Dr. Brackup, I was confident that a surgical approach was the right option for me. The procedure was quick, and recovery was minimal. Slight..."
"Great Experience - I had an upper lid Blepharoplasty, mid face fat transfer and skin laser resurfacing. I could not be happier with the results. Dr Brackup did a fabulous job and was a pleasure to deal with. The office staff was very nice and friendly. This whole experience was easy and Im so happy!!" Juvéderm is a gel substance that is administered via a fine needle directly into the skin. There is no sedation needed, although a numbing cream is usually applied first to help with any discomfort. The injection sites will be sterilized and marked with ink. Once the filler is injected, results are immediately noticeable. The practitioner may massage the treated area so the filler spreads evenly. Other than temporary redness, the treatment has no after effect that will prevent a patient from going back to normal routine. Patients should avoid strenuous exercise for approximately 24 hours. After a Juvéderm injection, the face will look refreshed, softer and smoother. 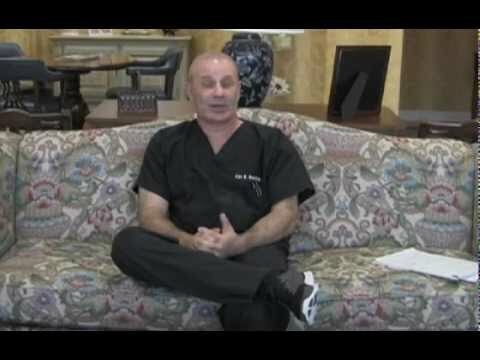 Are There Side Effects to Botox or Fillers? This procedure is almost pain-free. This really is determined on a patient’s overall pain tolerance. The product is administered with a fine injection needle and a numbing cream is usually applied first to help with any discomfort. After the treatment, tingling sensations may occur, and there could be some swelling and bruising. These after effects are temporary and usually subside within a few hours. Derma fillers have an outstanding track record for successfully reducing signs of aging with less risk than surgical cosmetic treatments. Other nonsurgical options include wrinkle relaxers, such as BOTOX® and Dysport®. Severe cosmetic issues such as loose and sagging skin may be better resolved by a surgical facelift. The approach taken will be based on the patient’s cosmetic condition and aesthetic goals. It is important to set realistic expectations when undergoing any cosmetic enhancement procedure. While the treatment does take years off the face, it can only do so much for patients who have severe wrinkles and skin irregularities. Juvederm will definitely help decrease fine wrinkles and creases, and the skin will appear smoother and softer.